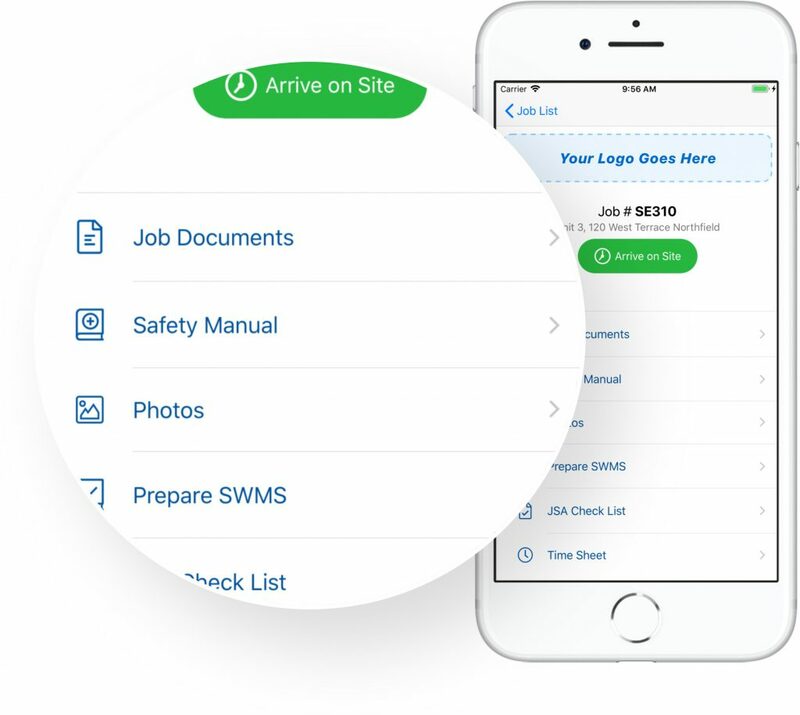 SiteBook are pleased to announce the development of SiteBook Tradie: a safety app designed specifically for Trades working on jobs and construction sites who are required to prepare SWMS for jobs. This App will be one of the first available that provides Trades with a facility to prepare a Safe Work Method Statements (SWMS), on site using their smart phone. The supervisor can review the SWMS, then team members can sign-on to the SWMS before commencing work. Access to job documents e.g. plans & specs. Prepare a SWMS, Review and team sign-on. Complete a check list e.g. JSA, Take 5, etc. (build your own templates). Access to Safety Documents e.g. SDS, safety procedures and safety manual. Take photos of the Job. Sign-on & Sign-off a site. The safety feature “Preparing a SWMS” will appeal to Trades who perform high risk construction work, including but not limited to Roofers, Electricians, Plumbers, and plant /machinery operators. The App can be branded with your company logo, and can be customised to meet your business requirements. We expect to release the Apple (IOS) version on 1st Feb 2019, and the Android version soon after. For more information and a demo, please contact Chris at SiteBook on 0410 520 057.